The HypnoBirthing childbirth method is as much a philosophy of birth as it is a technique for achieving a satisfying, relaxing, and stress-free method of birthing. HypnoBirthing childbirth classes teach expectant mothers and birth companions the art and joy of experiencing birth in a more comfortable manner. Pregnant mothers-to-be will learn how to call upon their birthing body’s own natural relaxant (endorphins) and thus lessen or even eliminate birthing discomfort, labor pain, and the need for medication. When a pregnant woman is properly prepared for childbirth and when mind and body are in harmony, nature is free to function during labor and birthing in the same well-designed manner that it does with all other creatures. HypnoBirthing childbirth classes teach expecting mothers to release all prior programming about birth, how to trust the birthing body and work with it, as well as how to eliminate harmful emotions that lead to pain-causing fear and unyielding muscles during labor and birth. HypnoBirthing teaches the art of using natural birthing instincts and empowers women so they can create the birth they want. HypnoBirthing mothers are conversant and in good spirits while laboring and birthing their baby – totally relaxed, but fully in control. HypnoBirthing moms are aware of their body’s contractions but are able to determine the extent to which they feel the birthing surge. HypnoBirthing mothers experience birthing in an atmosphere of calm and relaxation, without fear and tension that causes pain. Their body’s natural relaxant replaces the stress hormones that cause labor pain. HypnoBirthing moms are aware of their laboring and birthing body and choose to surrender to the childbirth process. They are aware, in control, and profoundly relaxed. 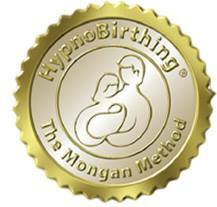 Mandie Medford is proudly certified by, and affiliated with the HypnoBirthing Institute for over 10 years. Pregnant women expecting a baby in the Las Vegas and Henderson areas now have a natural choice for comfort during their labor and birthing. The premier choice in natural childbirth education in southern Nevada is HypnoBirthing® – through HypnoBirthing Las Vegas. HypnoBirthing is more than traditional prepared childbirth classes. Whether having a hospital birth or home birth, planning a natural birth or wanting an epidural, HypnoBirthing offers women safer and gentler childbirth by blending trust in the female body with the documented effectiveness of self-hypnosis (deep relaxation), guided imagery, visualization, special breathing and tension-releasing techniques. HypnoBirthing teaches expectant mothers to follow the lead of their body and baby and to use their own natural birthing instincts. Combined with sound information on the physical process of pregnancy, labor, and birth, it is no wonder that new parents everywhere are thanking HypnoBirthing Las Vegas and their childbirth educators for a calmer, more relaxed labor and birthing experience. HypnoBirthing returns birth to the simple and miraculous event that nature intended. HypnoBirthing Las Vegas has been serving the Las Vegas, Summerlin, Green Valley and Henderson areas since 2003 (originally founded by Anne Swanson). 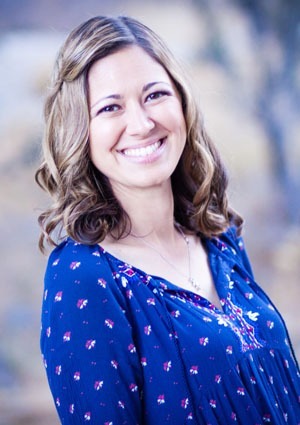 Mandie Medford became the owner of HypnoBirthing Las Vegas in 2008, she’s a Certified HypnoBirthing Practitioner, Breastfeeding Educator, and a HypnoBirthing mom. HypnoBirthing Las Vegas has helped over 1,000 Las Vegas, Henderson and Southern Nevada families prepare for their baby’s birth. Over 75% of pregnant mothers taught through HypnoBirthing Las Vegas birth their babies naturally. Many families attribute their calm and confident birthing style to the thoughtful, compassionate and inspiring instruction offered through HypnoBirthing Las Vegas .